If you have any questions regarding Juvenile Defense, please contact us for a FREE JUVENILE COURT FITNESS CONSULTATION. A Juvenile Court Fitness Hearing is conducted to determine whether the juvenile is fit to be tried in a juvenile hearing. The Juvenile Fitness Hearing outcomes state if the case remains in Juvenile Court or is transferred to Criminal Court where the juvenile will be tried as an adult. If the juvenile is found to be fit, considering relevant evidence and testimony, proceedings against the juvenile continue in the juvenile court. If the juvenile is found to be unfit, the juvenile court petition is dismissed and the prosecuting attorney is authorized to prosecute the juvenile under the general adult criminal law. 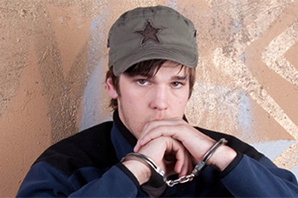 If you need an effective Juvenile Defense Attorney, please contact us for a FREE JUVENILE COURT FITNESS CONSULTATION.